Until recently, I’d swear by cheap unlimited hosting plans. But then, just a few months ago, every blogger‘s worst nightmare happened to me: My blog was shut down because it “had been hacked”. I was sure I lost everything. There were a few strange files, which were swiftly removed. My website was down for just about 24 hours, and while the damage was hard to quantify, I knew it was there. My host was not helpful: insisting I pay more to resolve the issue? What exactly had happened? An expert I spoke to speculated that the host had put it there to get me to upgrade. Not very many weeks later, things began to happen again. I visited my website, and got a strange message to install WordPress. So did anyone else who tried to visit my website. It was a nightmare all over again. 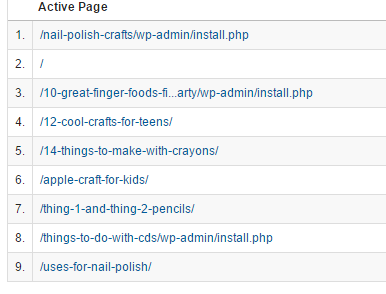 Even after my “queries” reset, people were still redirected to the /wp-admin/install page. So what does a blogger do when a website doesn’t work? I contacted my host, of course. The nightmare just got worse. This issue was supposedly caused by “exceeded hourly queries” – something that is hard to explain or quantify, but apparently I was using too many resources. So, while it was re-established within the hour, it kept on happening multiple times a day, for a few weeks, until I had no choice left but to DO SOMETHING. 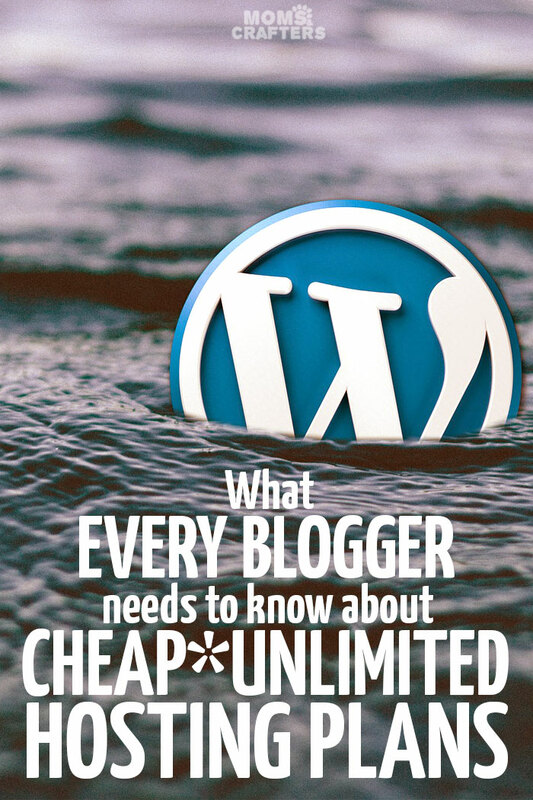 As bloggers, especially those who rely on their blogs for some amount of income, WE NEED STABILITY, RELIABILITY, SECURITY. We need to be able to have answers and some measure of control over our blogs. Nobody wants a dip like that…. I had been experiencing a slump in traffic, so it could not have been related to that. When my host told me that’s what it was, and I told them this, they said it was a single plugin causing problems. I performed tests to see which plugins used the most resources, deactivated them, deleted them, and the problem continued. I had an UNLIMITED HOSTING PLAN. Now, all hosting plans that are unlimited come with some sort of statement that establishes that it must be within reason. But I was far from a massive blogger, hitting 100k pageviews a month steady. I wasn’t exactly in the millions. So what exactly happened there, if I used cheap unlimited hosting plans? Disclaimer: I am currently a Black Chicken affiliate. That means that if you sign up via my link I receive a small commission. That being said, it’s a service that I swear by, and recommend even without my affiliate link. I was an affiliate with my old host too, and I am NOT sharing those links around anymore. It is very hard to tell, but upon speaking to various experts, I learned that these plans aren’t really unlimited. They are bait, to get you in. Once you start getting serious traffic, you’ll start bumping into problems, all of which have one solution: pay more. When the malware was found on my website, do you want to know what my host told me? You need to pay us for extra security! (I had various security measures already in place, including CloudFlare and others). When the “queries” were exceeded? I needed to “upgrade” my plan to include more vague, unidentified queries. CHEAP UNLIMITED HOSTING PLANS ARE NOT UNLIMITED! THEY ARE JUST LIMITED IN A WAY THAT YOU CAN’T UNDERSTAND. Naturally, I was fed up. I was fed up with not being in control of my own business. I was fed up with not being able to rely on my website to be up. I was fed up with having to circulate back ten times, verbally bully and threaten to leave each time I needed customer service. I was fed up with having to speak to a different rep WITHIN THE SAME CONVERSATION, that was composed of copy-paste repetitive answers that did not answer my unique situation. I was fed up with not knowing what I was paying for, what I was getting. I was fed up with not having options and details laid out clearly in front of me. I was fed up with devious, non-straightforward sales techniques. I switched to Black Chicken Hosting and I am now paying double the price. I receive an answer within minutes. My plan is limited, yet I have never received that warning that I have used up 75% of my allowance. Oh, did I mention that my company sends a warning if I am approaching my limit? So what are the red flags in cheap unlimited hosting plans that are unreliable? They all have a few levels of plans clearly laid out, with pricing. They have prompt and local customer service, often very personalized. This is because they tend to be smaller businesses – not huge establishments. Their rates are higher. There is no question about it. They don’t over-promise. If it seems to good to be true, it probably is. Every single blogger you ask will recommend them. Every single one. There were a few hosts that I looked into, and eventually I chose Black Chicken because of rave reviews and competitive (but not ridiculously cheap) rates. I always said with my former host (which I will not mention so as not to single out one company when I’ve heard such complaints about quite a few) that I’d be glad to pay even double the price, if I knew I’d have customer service, and if I knew what I was getting. My blog was growing, I knew I couldn’t get away with paying that little forever, I just needed clarity and stability. That’s exactly what I have with Black Chicken. The staff helped me figure out which plan was best for me, and transferred me over in middle of the night. My host tried blocking their logins, and gave them issues, so it took longer than expected. They undercharged me, and even billed me for less than the budget I gave them for the tranfer! They also set up CloudFlare for me, at no additional cost. I was so pleased with them, that I wanted to write this post right away. I decided to wait a few months, though, to make sure I was really happy with them – and I still am. I am paying $21.99/month for their Rancher plan, which offers me plenty more than I need with just under 150,000 pageviews a month. I have that reliability, and stopped obsessively checking if my website is working. So, should you avoid cheap unlimited hosting plans? To tell you the truth, I did enjoy my low bills for a year. And for a blogger who wasn’t earning that much, it was nice not to have too much overhead. But the aggravation that it caused when my blog was growing was horrendous. Ideally, if you could afford it, I’d recommend starting off with a host that you can stay with. Since starting off, you can use a smaller plan (Black Chicken’s start from $9.99), it’s probably worth it for most bloggers. That being said, may of these cheap unlimited hosting plans offer lucrative sales for new users. But read the fine print. Those specials last for a year. It costs to transfer your website, unless you’re a pro and can do it yourself. So, in the long run, you won’t be losing that much, if at all. And you’ll be saving yourself plenty of panic and aggravation later on. That being said, may bloggers are hesitant to pay too much from the start, not knowing if they’ll even continue past the first few days. So, I’m not sure I’d resist those discounts, but if you want to start off with cheap unlimited hosting plans, I’d highly recommend switching over the second you start getting regular traffic. It’s just now worth the heartache.